Once the fire is extinguished, call your tri-lakes area Fire Damage Restoration Experts at Table Rock Restoration to repair, rebuild and restore your Stone, Taney, and Barry County property to pre-loss condition. Our emergency crews are available 24/7 for dispatch to your home or business. Contact Table Rock Restoration for a FREE Inspection and FREE Estimate in our Tri-Lakes service area. 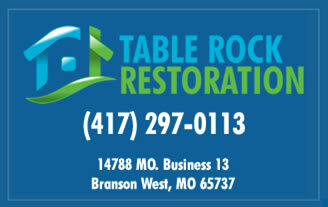 Call Table Rock Restoration at (417) 297-0113. We will handle your emergency fire damage and disaster clean up repairs promptly and professionally to your satisfaction and peace of mind. 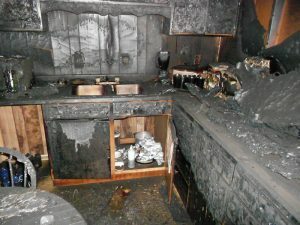 There is always residual smoke damage after a fire. Table Rock Restoration has developed a Fire and Smoke Damage Restoration Process to repair and cleanup smoke damage and remove smoke and soot odors from your structure and its ventilation system. As a complete fire damage restoration company, we offer Contents Pack-Out, Storage and Cleaning services. 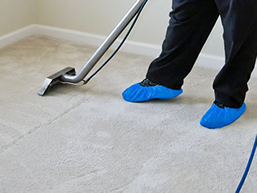 Table Rock Restoration has developed a sophisticated process in which we carefully recover and transport your residential or commercial contents damaged by smoke, fire, water and mold. We salvage, clean, repair and restore your contents. When your restoration and reconstruction job is complete, we will deliver your restored contents back to your property. We are standing by to take your call at (417) 297-0113. If you live in Branson, Branson West, Kimberling City, Reeds Spring or any city in the tri-lakes area, contact Table Rock Restoration for 24/7 Fire Damage Restoration and Water Damage Restoration services. We Provide FREE On-Site Inspections and FREE Estimates to Property Owners in the Stone, Taney, and Barry County Missouri area.